Worried About What Others Will Think? Don’t Be. One customer was worried that their child’s teacher might think the Banana Bunker will look silly or inappropriate. The Groupon employee told them that the teacher will only think that the student is very smart for eating healthy and will definitely not think anything otherwise. This comment was one of the most memorable out of the entire day. Groupon announced that a healthy snack without any bruises is the best thing to give to a friend, and that you can carry this in your pocket. You Can Fit More In It! 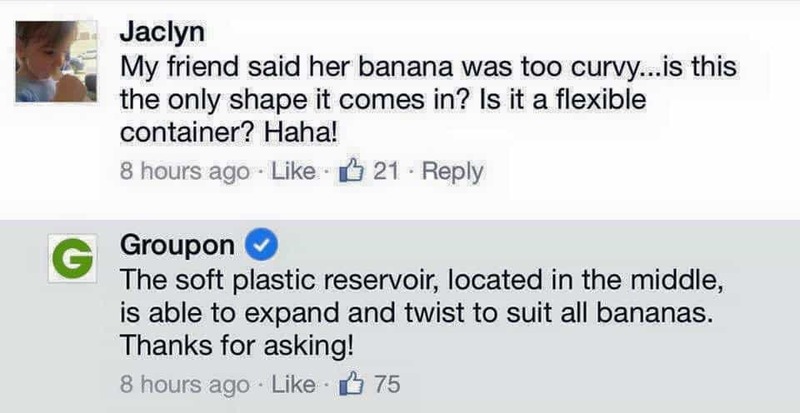 Sometimes, you don’t want one big banana. You would rather have two smaller ones. If that’s you, then rest assured, the Banana Bunker can most likely fit two in there. Groupon didn’t quite clarify just how to use the item during their announcement. After someone asked if the item was painful to use, Groupon assured them that you do not digest it. It is important in life to have a backup to just about every situation. Carrying fruit is no exception. 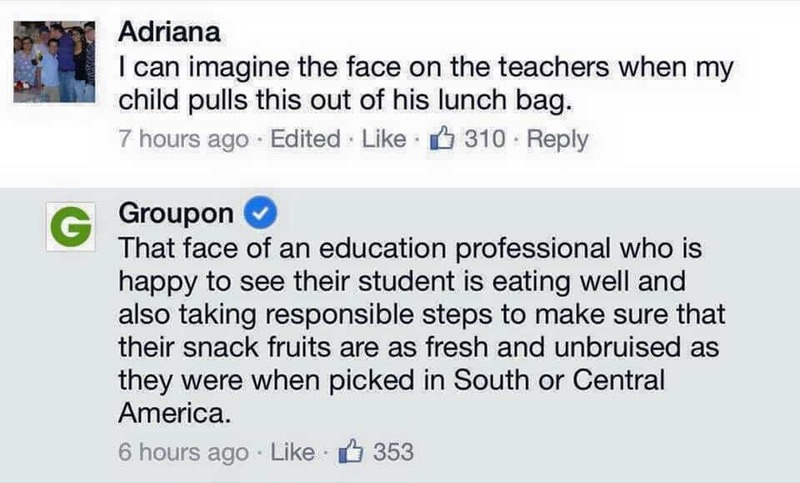 Groupon got pretty deep with this comment. They explained how bananas are not quite like humans as they cannot feel anything on the same level. One user pointed out that this item could be used for different purposes. Groupon agreed and made suggestions for them. Sometimes, you just need to know what a product tastes like before you buy it. 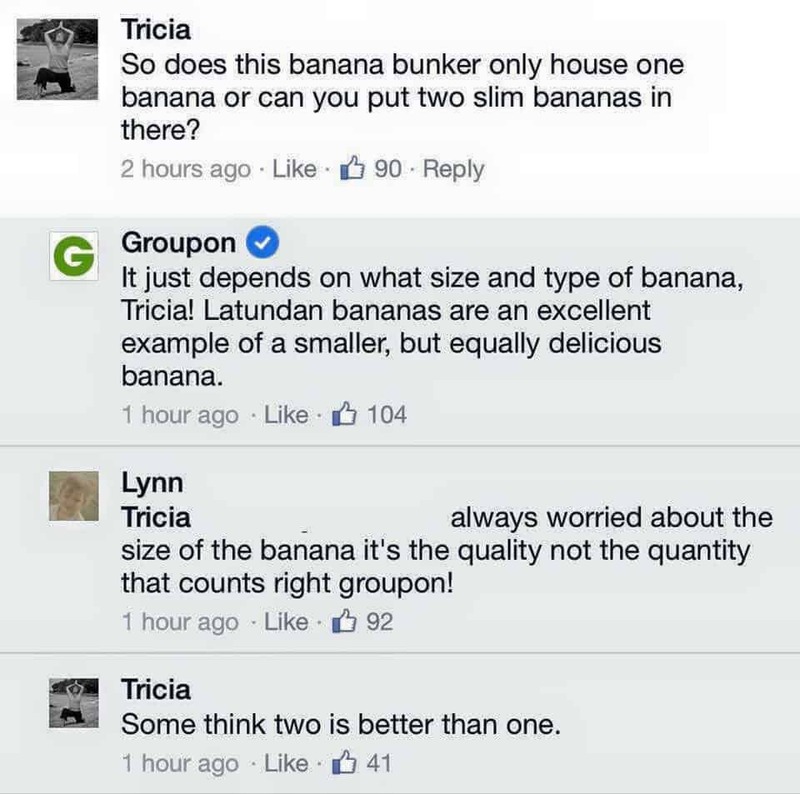 Groupon conducted their own taste test to give the users the answers they need. Groupon showed everyone that it is never too late to start doing anything, especially protecting your fruit from harm. When prompted about what they thought the item looked like, the Groupon employee was quick to reply by saying that it looked like a “sound investment”. 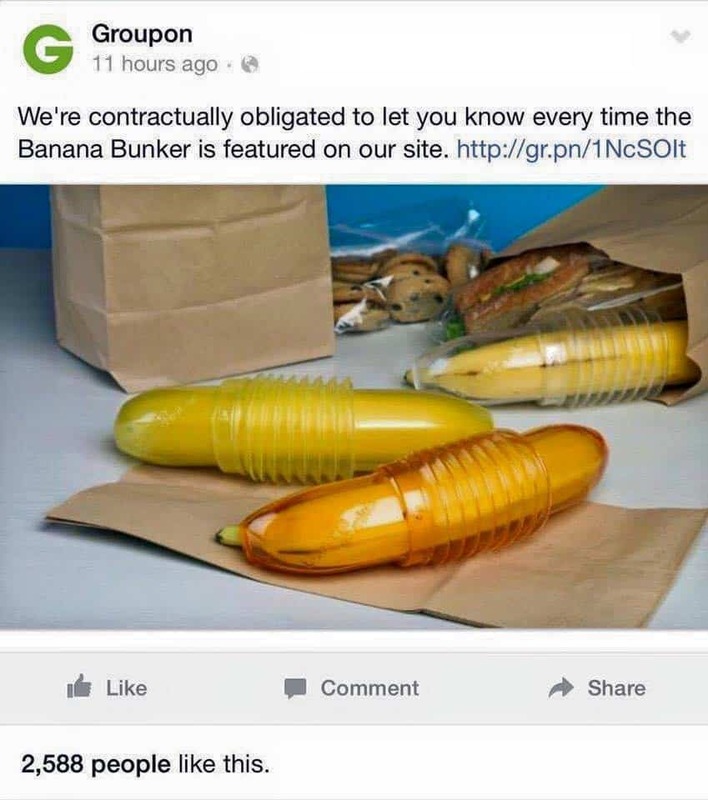 No banana is too big for the Banana Bunker, it turns out. If you think your banana is too big, you probably need to have yourself reevaluated. Feeling Weak? Get Some Potassium! 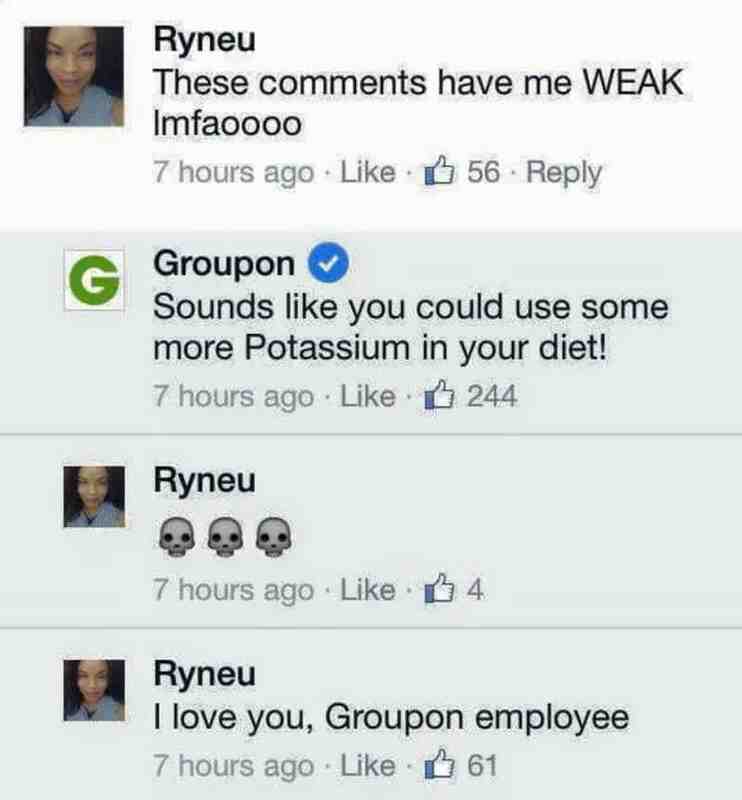 One customer was getting a kick out of reading through the comments, so much so that she informed Groupon they were making her “weak”. Groupon offered up the best solution ever.